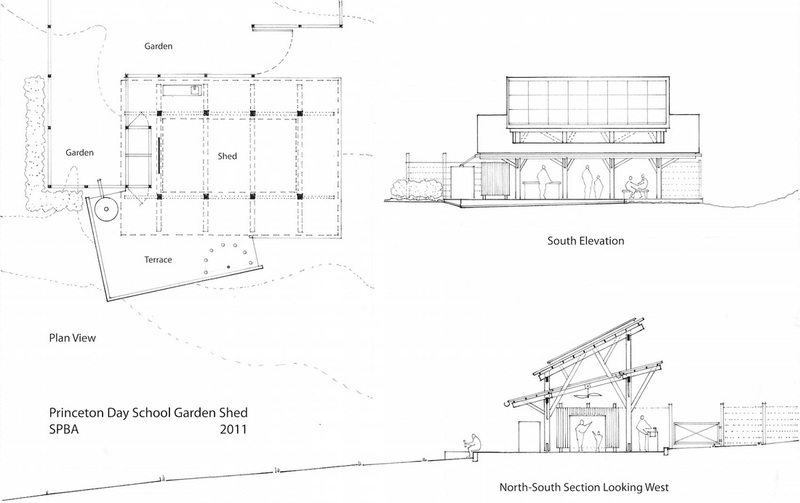 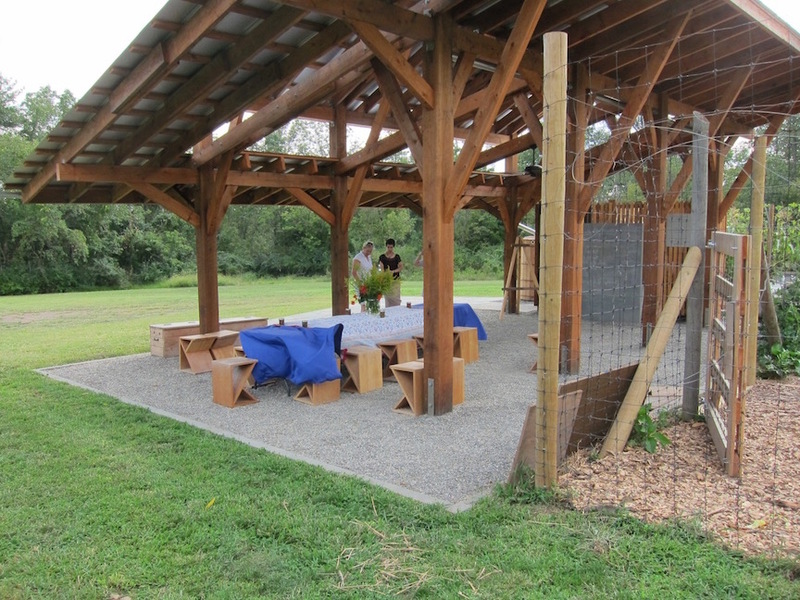 This is a landscape space and structure for outdoor education. 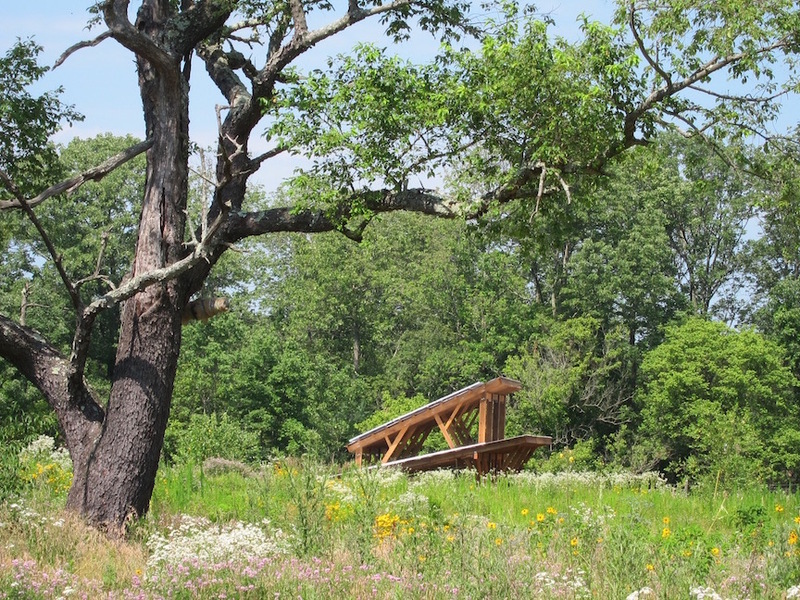 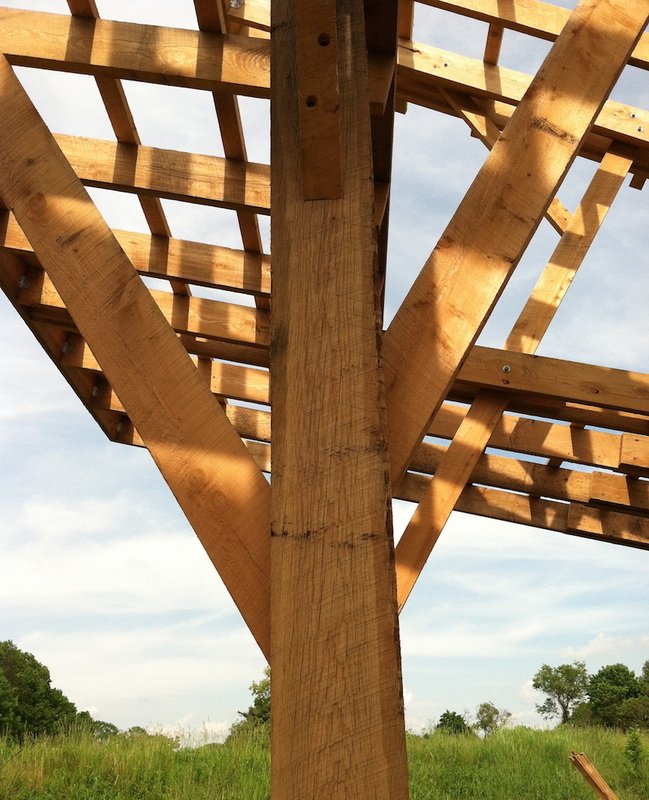 Despite its simple and artful timber frame design, it performs in a number of ways. 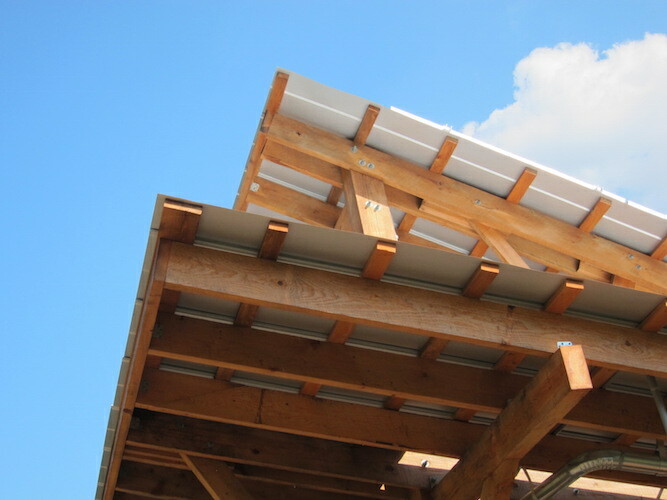 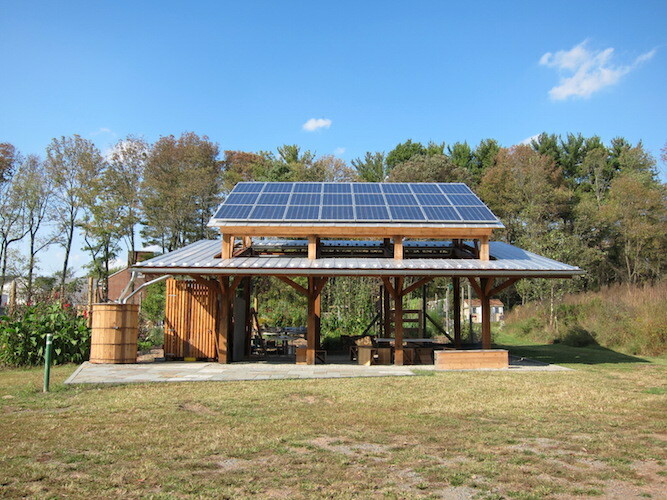 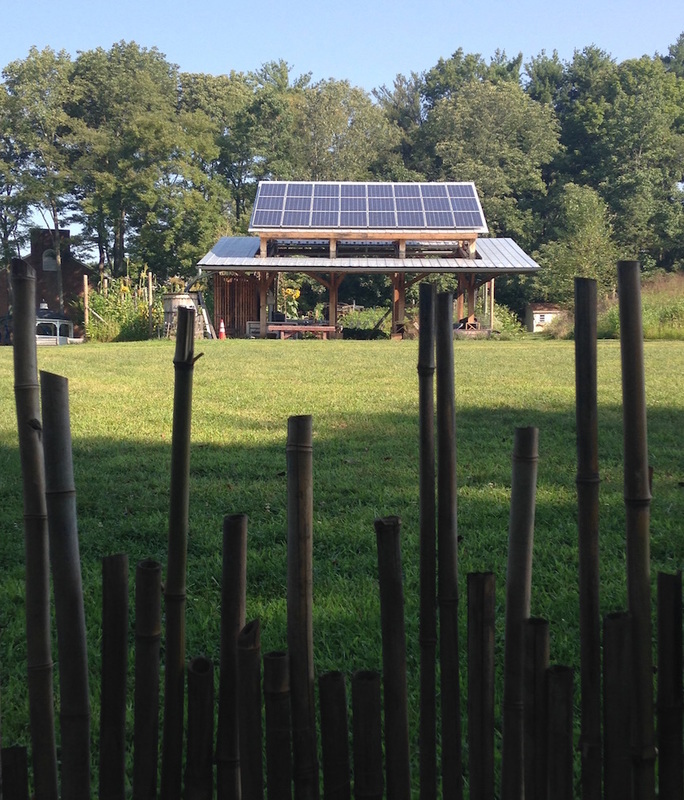 The project generates power by PV solar panels, collects rainwater, has a pervious floor, provides shade, accommodates a simple outdoor kitchen, and creates a versatile gathering place. 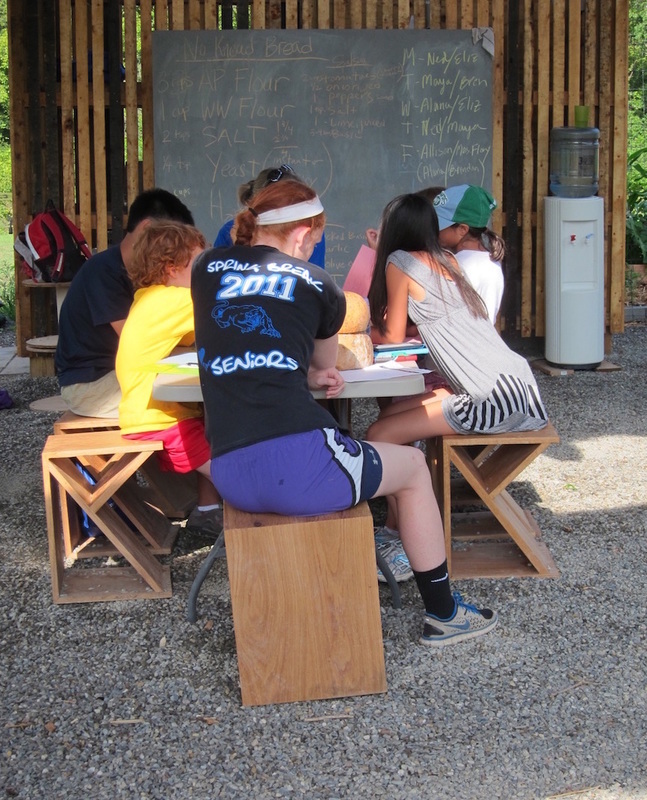 It can be used by multiple ages, in various disciplines and for a variety of purposes from social events to summer camps.